Josh Carter’s always known there was something strange about the horsebox in his Grandma’s barn, but it’s not until Megan arrives from the city that the two teenagers discover the horsebox’s secret – it can travel through time. Actually through time. One minute they’re in the barn, next minute there’s a warrior on horseback charging at them, pointing his sword at Josh’s head. It was all so real, too real for Josh. He likes his history to stay in the history books. ILLUSTRATIONS: Book Cover by Phil Burrows. Paintings by Su Smith. Many thanks to Phil and Su for their incredible images! More on the way. Spirit and the Magic Horsebox is the first book in a series of thrilling adventures by Laura Quigley, published by Forelock Books. Find out more about Josh, Megan and all the other human characters in the series here. 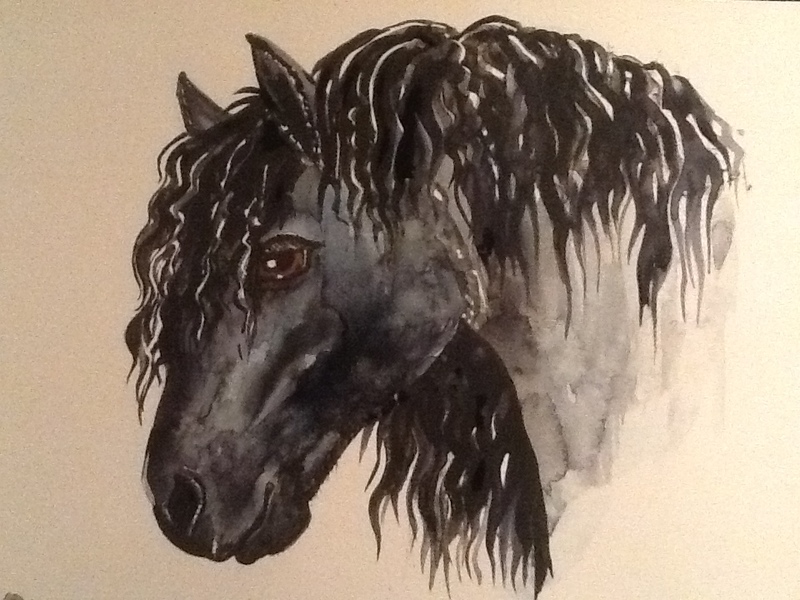 Find out more about Spirit and all the other horse characters in the series here. Find out more about the real histories behind Megan and Josh's adventures. And for more incredible images of the old horseboxes, check out this one and more on my facebook page here..